People started twisting it and bibliophiles everywhere freaked out. 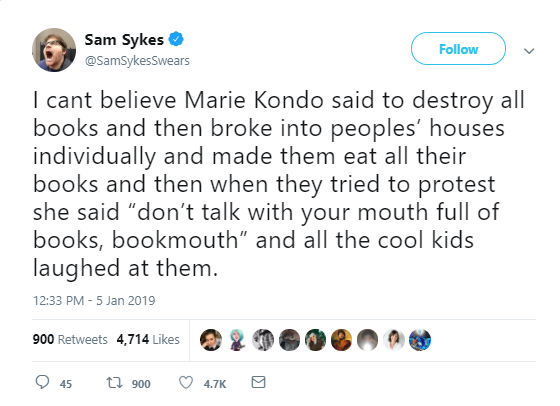 So for the record - Marie Kondo does not say you can only keep 30 books. 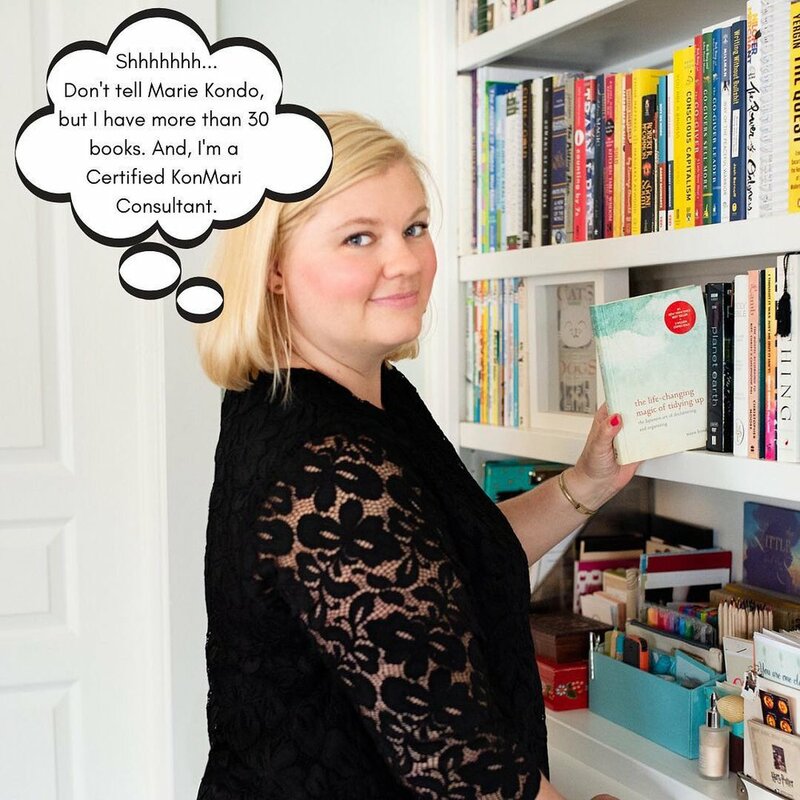 In The Life-Changing Magic of Tidying Up she says, “I now keep MY collection of books to about thirty volumes at any one time.” So you can relax, y’all. I went down and sat with her as she took them out one by one, and she released about 30 more. Honestly, we were both surprised at the difference it made. When I went through my books, I realized I was keeping some of them out of pride, especially classics. 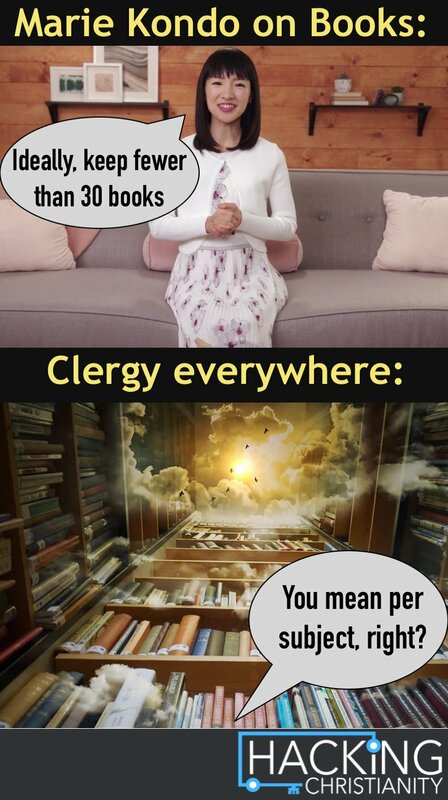 I used to enjoy going to used book sales with my girls when we were homeschooling. At one point I was trying to put together a complete set of Newberry Award Winners for each of us—so 3 full sets. But I finally came to the conclusion that when I wanted to read a quick story, I never chose those books. I’m glad we read all of them, but when I want to reread a book, I don’t want it to be something with a sad ending or a tragic backstory, as most Newberrys seem to have. I ended up getting rid of most of them. Maybe I’m shallow, but I keep the books with happy endings that I know I’ll read again. Also, I’m a big fan of the library, so I’ll check out books that I’m interested in, and if I love them, I’ll buy a copy. If you have books the whole family shares, you can each go through them in turn. I stacked all of ours by genre on the floor, then put the ones I wanted to keep back on the shelves. Carly went through those still on the floor and re-shelved the ones she wanted to keep. Finally, Jeff went through them and pulled out what he wanted. The rest we donated to the library. So, that’s where we stand on the whole book thing. So go read one of the (potentially many) books that sparks joy for you!